1. 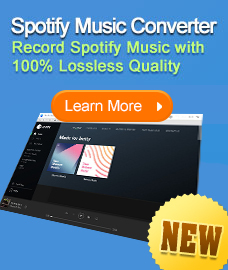 PDFMate PDF converter pro. 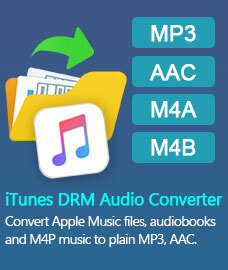 can be downloaded from PDFMate PDF Converter Professional. 1)	Locate and launch the downloaded file named setup_pdf_converter_pro.exe to start the installation. 3)	Click Next on welcome to the PDFMate PDF Converter Professional Setup Wizard. 5)	On the Select Destination Location screen, select the location where PDFMate PDF Coverter Pro. is going to be installed and click Next. 6)	On the Select Start Menu Folder Screen,select the folder where the program’s shortcuts is going to be stored and click Next. 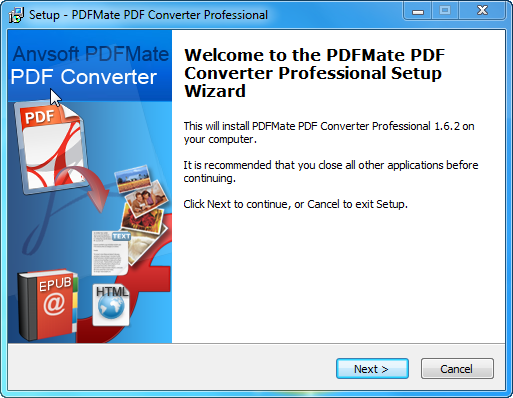 9)	Click Finish to complete the installation while launching PDFMate PDF converter Professional. Run the program and register it with the registration name/code. 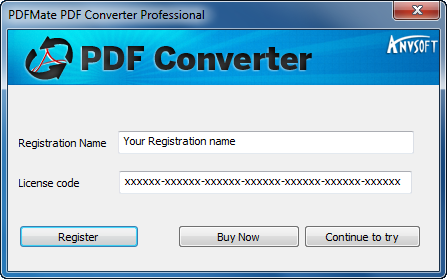 1 Click to add PDF files to PDFMate PDF Converter Pro. 2 Click to choose output file format (EPUB/TEXT/IMAGE/HTML/SWF/PDF/DOC). 3 Click to choose output file destination. 4 Click to start converting PDF documents. 5 Click to choose the number of pages merging in one page (only when PDF is the output format). 6 Click to open the output folder . 7 Click to adjust the effect of the converted file. 8 Click to move the selected PDF file one line down. 9 Click to move the selected PDF file one line up. 10 Click to open PDF merger. The option is available only when conducting PDF2PDF conversion. 11 Click to add PDF folder.